It is important to closely adhere to your weight-bearing restrictions after surgery or injury because otherwise you can disrupt healing and delay your recovery. Your weight-bearing restrictions are meant to protect your body as it is healing. It is a good idea to check in with your doctor or physical therapist to understand your specific weight-bearing restrictions and how to maintain them properly. Non-weight bearing means that NO weight can be placed on the operated leg. This is the most restrictive of all weight-bearing limitations. Since you are not able to bear any weight on the leg, an assistive device, such as a walker or crutches, will be necessary for you to walk. When walking with your walker or crutches, keep your affected knee bent up and keep your toes off the floor. No weight means no weight; even the slightest bit of pressure through your leg can cause problems. Toe-touch weight bearing means that only the toes on your operated leg are able to contact the ground. This is for balance only, however, and thus no significant amount of weight should be placed on your toes. As a result, an assistive device such as a walker or crutches will again be necessary for you to walk. Your toes are only used for slight balance and steadiness. Partial-weight bearing allows you to place half of your weight on the operated extremity. Begin by using a scale to see how much pressure is on your affected leg when half of your weight is placed on it. Use your assistive device to stand with slight pressure on your leg. Your PT can help you with progressive partial weight bearing. Sometimes your doctor may give specifics when prescribing partial weight bearing. He or she may prescribe 25 percent weight bearing, 50 percent weight bearing, or 75 percent weight bearing. Your PT can help you get a feel for how much weight that should be placed on your leg. Make a mental note of this, and limit the pressure placed on your operated leg during walking to this restriction. As full weight bearing is still not allowed, crutches, a cane, or walker can help you walk without losing your balance. Full weight bearing allows you to place all of your weight on the operated extremity. There are no restrictions in regards to the amount of weight placed on the leg, therefore assistive devices are usually not necessary. If you have been walking with a cane or crutches, you may not want to simply throw those things away, as you may need them to progress from partial to full weight bearing. Sometimes progressing from partial to full weight bearing can make your muscles a little sore, so expect this. Your PT can help you safely progress from partial to full weight bearing. What Happens If Weight-Bearing Precautions Are Not Followed? 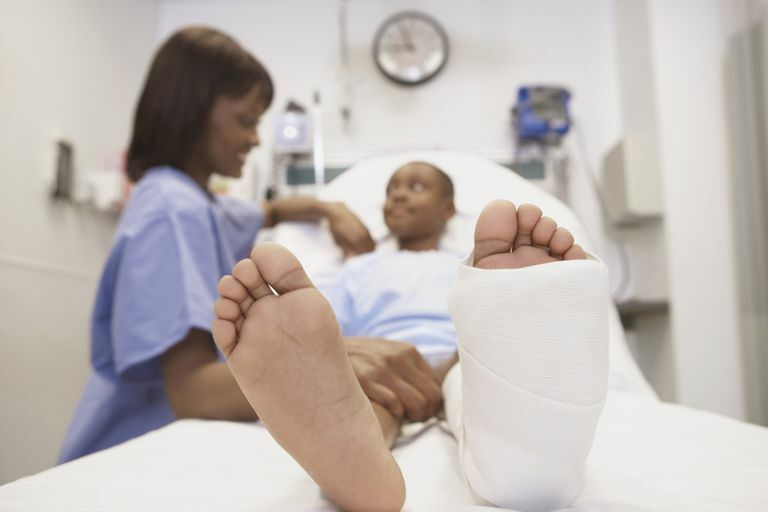 If you have broken weight-bearing precautions after an injury or surgery, it's best to err on the side of caution. Give your doctor a call and explain what has happened. After injury or surgery, your doctor may limit your weight bearing as things are healing. Take a moment to learn about different weight-bearing restrictions, and work closely with your physical therapist to properly progress your weight-bearing status as directed by your doctor. How Do You Properly Use a Walker?